At Riverheart Family Dentistry, we want our new patients to experience just how exceptional our practice is from the very beginning. We start by making your first dental visit comfortable, rewarding and convenient. Dr. Schwarz leads our practice as a skilled and talented dentist who is passionate about providing top quality general, restorative and cosmetic dentistry in an environment that feels like home. From your very first appointment with us, our staff will treat you like family. To create a better dental experience, you will find that we offer online patient forms and adhere to on-time appointments to streamline your visit and respect your time. Beyond our efficiency commitment, our staff goes above and beyond to provide the most comfortable dental care. From our lobby to our treatment rooms, we have patient amenities to help you feel at ease. Enjoy our children's play area, complimentary beverage bar, operatory room TVs and much more while you are here with us. Whether you need help maintaining healthy teeth and gums or your smile needs major restorative work, you will be treated by a team of knowledgeable and highly trained dental professionals who always extend gentle, non-judgmental care. 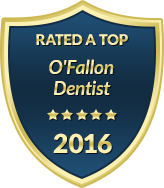 From your first visit, we implement the latest in modern dental technology to keep you safer and more comfortable. Our advanced tools include low-dose radiation digital x-rays, laser cavity detection devices and more. We strive to diagnose and treat your dental problems at their earliest stage so that your treatment plan can be less costly and less invasive. After a professional dental cleaning to remove stubborn plaque and stains on your teeth, Dr. Schwarz will examine the health of your gums. Because we understand the serious impact your gums have on both your oral health and body health, our practice proudly offers comprehensive periodontal therapy and gum disease treatments. At the conclusion of your dental appointment, Dr. Schwarz will discuss any further dental treatments that may be needed. We always welcome your questions and concerns you have regarding your smile. With our expansive list of restorative and cosmetic dental services, we are thrilled to give patients every opportunity to achieve a smile that is healthy, attractive and confident through all stages of life. To accommodate your busy schedule, our office offers extended weekday appointment times and family block appointments. We also accept dental insurance and offer flexible payment options to make your dental care more affordable. Your smile is one of the most valuable attributes that you own. Trust Riverheart Family Dentistry to care for it best.